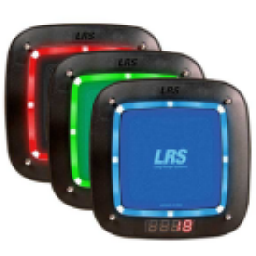 Here at LRS UK, we have one of the largest selections of pagers in the UK. 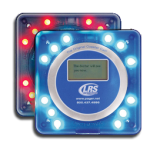 Here you will find a paging device for pretty much any application, whether it’s for waiters in a restaurant, nurses in hospitals, forklift drivers in warehouses, or pretty much anything else. We also stock waterproof, rechargeable and alphanumeric paging devices. We have vast knowledge and experience in helping customers find the right paging equipment for their requirements and are constantly looking to update our already extensive product range. Our dedicated team of experts are committed to providing the very best paging systems on the market, and we’re confident you’ll find just what you’re looking for right here on this website. 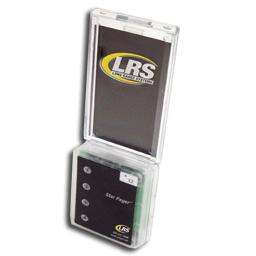 However, if you’re unsure about which paging device will best suit your line of work or want more information about a particular product, then don’t hesitate to contact us here at LRS, one of the leading providers of pager systems in the UK. Used wherever a text message is needed on-site - staff or management. Biggest selling unit for anyone who needs messaging but not specific text. New amasing technology and these coaster call units are perfect for calling back guests, patients or others. When a coaster style unit is needed to call back a customer or maybe even a driver, this one includes text messaging! Sold for many years for customer guest or patient recall. Can accept advertising easily changeable on the body. Our SMS solution can send preset messages without spending great time on a cellphone. Great for recalling guests or patients who are off-site.